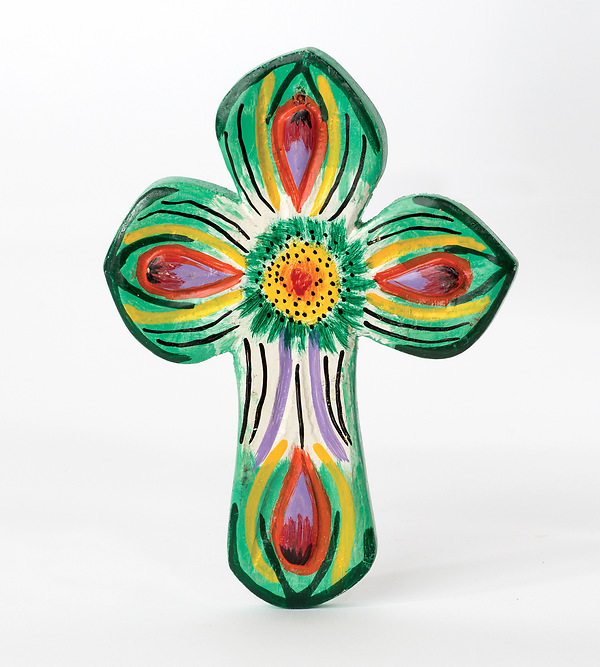 This small wood cross is handmade and hand painted in Guatemala. The array of colors intermixed with beautiful design will add a pop of color and textural dimension to any wall. This small cross hangs easily with a hole opening cut at the top so it lays flush against the wall. 7" L x 5 1/2" W x 1/2" Thick. (5 various designs).